The Rawls Hotel is in the Southern most part of Alabama. It is located in Enterprise, Alabama far from the larger cities like Birmingham or Mobile. Its history doesn't seem to be marred by murder or tragedy. Its story is the story of a normal historic, small town hotel. Japheth Rawls was a developer who had made some profit from turpentine plants. He decided to invest his money in a small hotel. He and his wife built the Rawls Hotel in 1903 and named it the McGee Hotel. It was a small building in the Spanish Mission style. In 1928, when Japheth passed away, Jesse Rawls took over the hotel and began remodeling it. He added two three-story wings to the structure and the Rawls Hotel evolved into a town center. It was elegant and pretty and many gatherings and meetings were held in the building. The Hotel was conveniently placed next to the railroad so travelers to Enterprise could enjoy a pleasant night in a luxurious hotel. In the 1970s, the hotel fell into disrepair and may have been forgotten if it weren't for Hayden Pursley. Pursley purchased the building and renovated it. The Rawls is now a bed and breakfast that is famous for its hauntings and ghosts. It is my hope to travel down to the Rawls some time in the next several months to learn more about the ghosts that are said to linger in its halls. The stories say that there are many children ghosts in the old hotel, but I don't know where they come from. None of the stories seem to explain the presence of so many children ghosts in the hotel. There is a little girl who has been seen by many visitors and the voices of children are said to come from the wine cellar. Orbs are frequently seen in photographs and visitors describe feeling a presence in the hotel. Mr. Rawls is also said to haunt this old hotel and many have described seeing him in the halls. He is said to stand by and watch decoration and renovation of the building and his spirit is thought to be interested in the well being of the hotel. Many of the apparitions of the Rawls are said to linger on the third and forth floor. 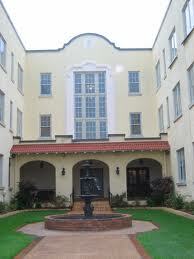 The Rawls is listed as one of the most haunted hotels in Alabama. Hopefully, I will discover why some day in the near future. Great story. I hope you get the opportunity to stay there and do a post about your experience. That is interesting why so many children are said to haunt there yet there's no explanation for it. It'll be neat to see what you find out when you do get to go there. Hmmmm! Sounds like a tourist hook to me!...Good research will soon sort that out though!..Have fun and don't drink the water!..Cheers! Adsila,... I will definately post after I get there. Courtney...I hope I find out too! You know me Jess! I'm a cynic until presented with a genuine anomaly. A quick scan of records indicates a town in decline,polluted ground water from over 20 (Documented) toxic chemical spills and a legacy of illnesses from Turpentine manufacture. So! Don't drink the water! The chaps family tree is interesting though!..Sadly the building doesn't have a fire sprinkler system either so I'd be wary of staying there..Hehehehe Scooby Doo syndrome! Small towns in decline and regional centers desperate for tourism because manufacturing has ceased are indicators as much as any EMF detector..Still! An adventure is in the journey! Not the destination. Jeffrey... That is a good attitude to take. You very well could be right. Overall, I'm not a ghost hunter. Sometimes, I believe the ghosts at places are real but most of the time I don't try to prove the ghost stories. I just like collecting them and listening to the folklore. I view ghost stories as our last modern mythology and I love them for it. I know many of them aren't true, but that doesn't make them any less fun! Very interesting! I've been looking for a local haunted place to check out, but the only place I know of is Maple Hill and the playground next to it. Can you recommend another local place that a fam might see some odd occurrences? I'm from Elba which is actually about 20 minutes away from Enterprise and drive passed the Rawls Hotel every day on my way to Dothan. Even though I've lived all my 26 years in Coffee County, I have never had the chance to visit the place. I grew up hearing all kinds of stories about the children's voice and even Mr. Rawls himself supposedly haunting the place. Even thought these "ghost stories" that are tied to the hotel interesting, to me this isn't the best one related to our county. If you ever get a chance, check into the Grancer Harrison story that is legendary among our county. I was born and raised in Enterprise, Alabama. We are not a town in decline nor is our water polluted. You must have researched the wrong Enterprise. Ft. Rucker, an army base, is right next door to Enterprise, so the town is definitely not anywhere close to decline. Enterprise continues to grow and flourish. I have also been drinking this water my entire life and so has my family. No one has died from polluted water here. I have never heard of any "toxic chemical spills" or "a legacy of illness from Turpentine manufacture." Your facts are wrong. Many generations of my family have lived here and none of them faced any these either. The Rawls Hotel is, in fact, haunted with numerous different ghosts. However, that is besides the point. Please make sure your facts are straight before you start spreading false rumors about a town that you have never even visited. Wow1 I'm impressed to hear people defending their hometown. I've always heard good things about Enterprise. I lived in Mobile for 3 years and I knew some folks from the area. It speaks very well for the town that those that love it are willing to fight for it. I really do hope I can stay at the Rawls sometime in the Spring. It sounds wonderful to me. Have you visited the Rawls Hotel yet??? Maybe they went in and never came out !! Thank you! I really appreciate that. Now I want to go there even more.